Very much enjoying watching the 2018 documentary "Thud Pilots" on Amazon Prime. 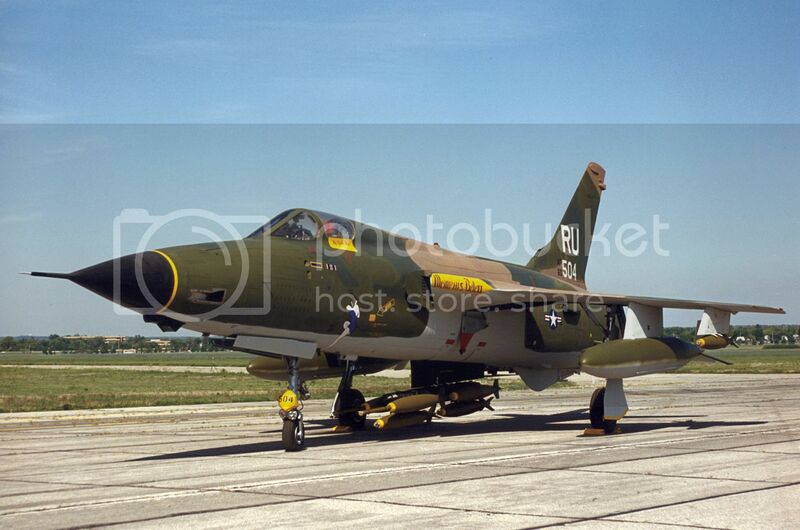 The F-105 was a workhorse in Southeast Asia. 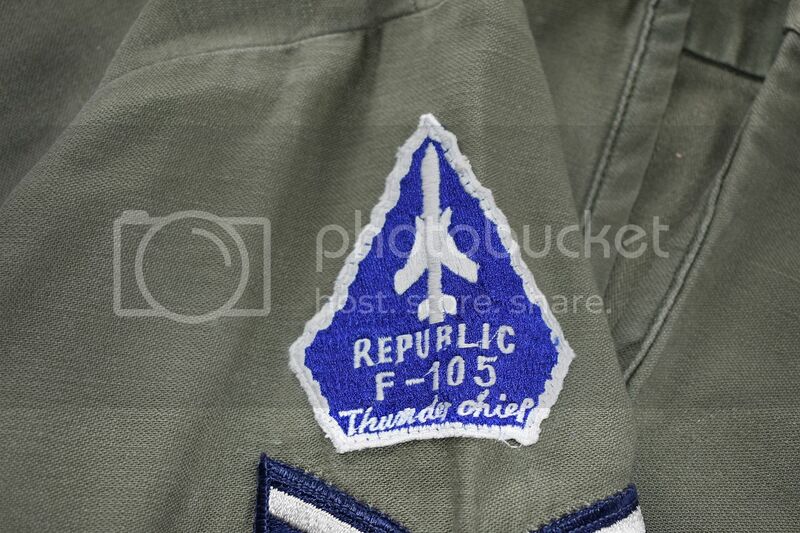 I found it interesting that one retired USAF pilot stated that despite having flown, in his career, the F-4, A-10, F-16, and F-15, his alltime favorite plane to fly was the Tunderchief. Thanks for the heads up - I'll have to check this one out! Just watched it.. well done. A good watch for anyone interested in aircraft or military history. I'm def gonna check that out. Thanks! I thought from the thread title it was about pilot episodes that were awful and not worth watching. There are certainly plenty of those. Of the 833 F-105s built, 395 F-105s were lost in Viet Nam. 2 pilots were MoH recipients. Thuds were credited with 27.5 Air to air victories as well.. Worked on Thud's n ear fifty years back, 108 TFW , NJANG. We had a few pilots who had survived the war and got out, but wanted to come back and fly the Thundechief again. Several of them with 50 and 100 mission patches. THATS beating the odds! Knew a 1 star here in MT who flew the Wild Weasel missions in VN. Thats REALLY beating the odds. Saw and HEARD them take off nearly every day in the summer of 1968 during basic training at Ft Dix, which is right next to McGuire AFB. Flash forward about 15 years, I saw one land after its final flight to 174TFW NYANG (The Boys From Syracuse) to be used for aircraft battle damage repair training. One the guys in my woodcarving group flew F105's. He's quite an interesting character. Worth the watch. Interesting to hear the pilots' views on the futility of the ROE thy were operating under. Had my Mom stitch this one one of my uniforms near fifty years ago. The guys who worked on the 105's took crap from the F-4 guys , etc. Old and not all that sleek, but what a workhorse. Proud to have been there. I’ll have to try and catch this; we don’t have a TV hooked up to internet right now, but I’d like to see it. I’ve got an old friend who served in the Air Force at Takhli during the Vietnam War. Three TFSs of Thuds operated out of Takhli during the War and carried out much or most, of the Air Force’s part of Operation Rolling Thunder. My dad was an intel guy at Korat...he appears in the documentary at about the 1 hour and 7 minute mark...there are a bunch of guys sitting watching the planes take off and land and there is a guy in sunglasses and a white t-shirt smoking a cigarette.. He was promoted to Lt. Col. and then Colonel all while fighting brain cancer. At one point, he developed a staff infection and lost a portion of his skull. And still, he deployed to Saudi Arabia as part of desert shield/desert storm with orders he was never to be far from his helmet . He was one of the architects of the “highway of death” and somewhere I have a picture of him standing in the aftermath. He was slated to become the academic dean at DIA when his cancer reoccurred as full blown multiforma glioblastoma and was finally medically discharged from the Air Force in 1993, and died in 1994. A true Patriot. You are rightfully very proud. Despite the sadness of Your Dad's cancer, what a great story.